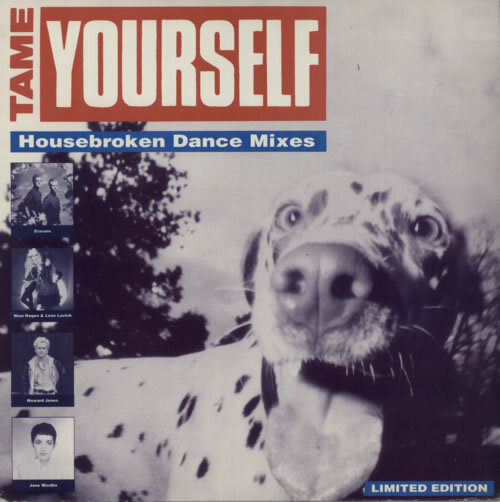 ERASURE Rage - Housebroken Dance Mixes (Original 1991 Rhino US promotional only 12" vinyl includes the exclusive Vitamitavegemix 7:40 & Dub Mix of Rage - both these mixes are still unreleased! 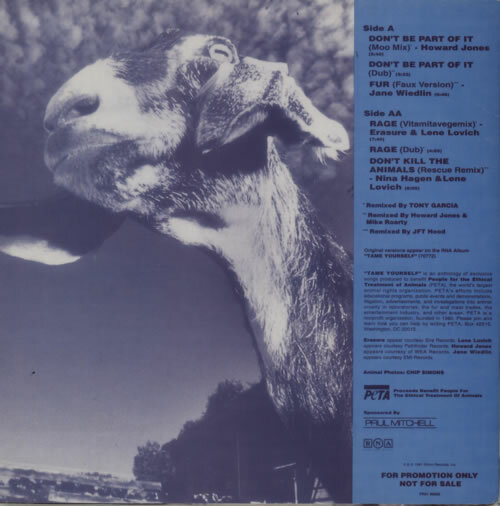 Produced in aid of PETA, the animal rights organisation, and sponsored by Paul Mitchell this vinyl also includes exclusive mixes of tracks by Howard Jones, Jane Wiedlin, Nina Hagen & Lene Lovich and was distributed in a promotional only purple tinted dalmation dog picture sleeve. A near new, unplayed copy PRO190082). or visit our Erasure image gallery.